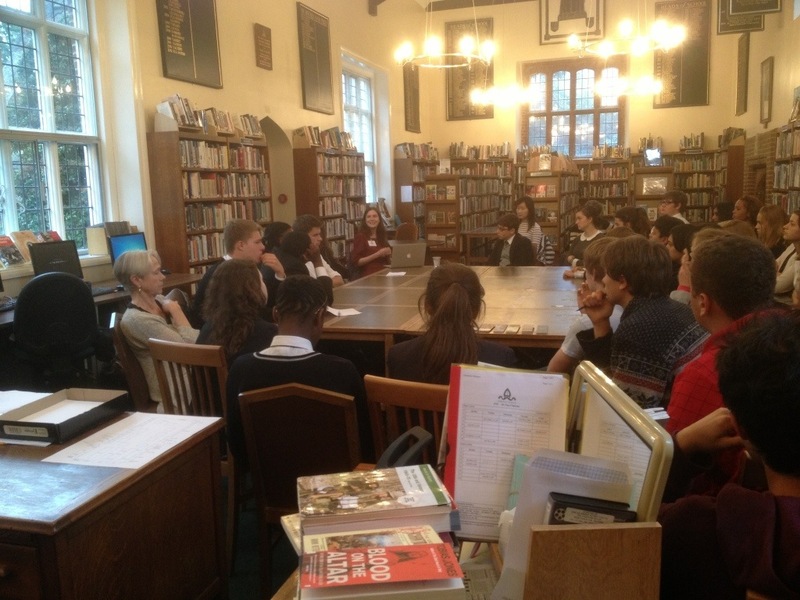 The second Williams Project this term was presented by Nicholas Spice, publisher of the London Review of Books. He began the talk with an introduction to the LRB, with samples handed out to give us an insight of what it looks like. Then he gave us an extract from the first draft an LRB writer had produced and the actual published version as an example to explain how the editors do their job. He raised many interesting points such as how our views on a piece’s reliability can be influenced by the way we use words. He also talked about the link between journalism and literature and how it has changed with time and the development of technology. In the end he took many interesting questions from us and told us the story of how he became a publisher. He also made predictions regarding the publishing businesses and the dramatic impact on the traditional bookstores from some new platforms like Amazon. The LRB has a bookshop with a wonderful selection of books, and Mr Spice told us stories of the authors he knew and some anecdotes about them. The talk was impressive and it was a rewarding experience for all of us. This year’s Williams Project programme kicked off with a visit from Dr Naomi Goulder of the New College of Humanities and an insight into the morality system. Focusing largely on Bernard Williams’ (the Williams Project’s namesake) work, Dr Goulder gave an insight into many of the potential issues with the way we judge actions as ‘moral’ every day, ranging from the fact that luck is nearly always over-looked when judging an individual’s actions, to whether morality is a universal concept which applies to all in the same way or is instead something subjective. Thanks go to Dr Goulder for providing such a profound talk and an excellent start to the year ahead. We were delighted to have Patricia Williams with us too, and Jacquetta Straker from the NCH.